I have a guest blogger today on Babblings of a Mommy--Laura Stenovec, and lucky for you she's a Senior Stylist for one of our favorite online jewelry boutiques, Stella & Dot! She's here to give you some of her own personal fashion tips from the Stella & Dot fall line as well as providing a special surprise for one of my lucky readers!! Fall is right around the corner and the department stores are brimming with Fall fashions. I don’t know about you, but this year I’m not feeling like I have extra money to spend updating my wardrobe with the “latest and greatest” especially when a lot of these items won’t be in style next year. Maybe the clothing trends of over the knee boots, jewel tone dresses and leather jackets aren’t very practical for your every day routine and budget either. 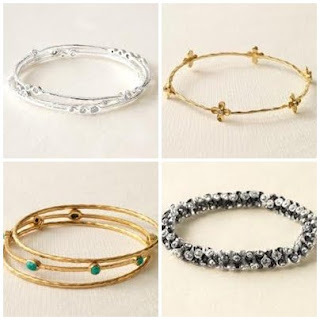 Stella & Dot, though, can provide you with some fabulous, budget-friendly ideas to jazz up your wardrobe. Whether you are showing off your children’s birthstones or your own personal style, a charm necklace or bracelet is an excellent addition to your wardrobe. 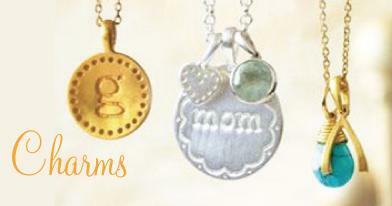 The also make fabulous gifts—wouldn’t grandma love a necklace with her grandchildren’s’ birthstones? Best of all, once you have the necklace it is easy to add to it without spending too much money. I just added this whimsical leaf to mine. If I am going to buy a statement necklace I want one that I can wear with jeans and one that I can wear dressed up. Meet Chloe and Claire —at $49 each these pieces certainly fit the bill. I love adding the Sasha Flower Brooch of the Claire Necklace. Want to splurge? This Metropolitan Mixed Chain Necklace is gorgeous. I wear it with everything from jeans and a black t-shirt to a little black dress. Layering is great for a variety of reasons. Versatility is key when you are shopping on a budget and it’s great when you can layer your pieces to create different and new looks. The Penelope Necklace looks great with the Gabrielle Citrine Necklace. I like this look with a cardigan sweater or anything with a v-neck. The Penelope Necklace looks great alone with anything. I throw it on with my yoga pants when I’m running around town and don’t have time to get dressed. My mom’s favorite layering pieces are the Signature Dot Disk Necklace with the Charmed Life Necklace The Signature Dot Disk Necklace also looks great with the Starfish Necklace. The Signature Dot Disk Necklace can be worn long or short with these pieces, which just adds to its versatility. These pieces can be worn with absolutely anything. Symbols are all the rage this season. I just can’t get enough of our Liv Multi Charm Necklace. I also love our Clover Key Necklace. The two look great layered together. Owl Charm Pendant Necklace is adorable and has been extremely popular (it also looks great layered with our Gabrielle Citrine Necklace. For the past year I have had customers ask me for a Bee Necklace. I never knew those pesky little things that sting you would be so desirable in the form of a necklace! I love stacking bracelets. An armful of bracelets can take an outfit from drab to glam in a second. Below are some of the bracelets I like to stack. Vintage Twist Bracelets. I love wearing both the gold and silver together and stacking them with the Devi Bangles. I'm now giving away a $50 gift certificate for one lucky Babblings of a Mommy reader. To enter, simply leave a comment with what you would buy with the gift certificate! Sign up for my mailing list on my website. It's that simple! Remember to leave a separate comment for each entry that you do. Giveaway ends September 10th 2010 and of course be sure to check back to see if you've won! I love the stackable bracelets. So cute! AND I could use them to distract my son while I change his diaper :) Visiting (and now following) via Social Parade. Have a great weekend! La Coco Silver Pearl Strand! I like Lauren with S&D on FB! I would go for the Metro necklace! I totally want one of those rings. My fav is the bloom ring. The bangles are great too. I am already a follower! Yay, thanks for this great giveaway! I have signed up for email updates! Fingers crossed, I would love to win! Definitely the Metropolitan Statement necklace! I am following your everywhere, Jenny:) So the gift certificate is rightfully mine! I like the Rachel, the Claire, and the Jet Faceted necklaces so far - and I'm only on page 2! I could definitely buy something with that gift certificate! I would get the Bardot Spiral Bangle! Gorgeous! Thanks! I would buy more necklaces to layer - I love the Coco Chanel look of the fall line! I would get my Mother in law a necklace with my sons birthstone! She would love it! I love the Mira Bangles Set of 3- Silver. So pretty! I really like the together forever necklace. love the black & silver sophia cluster ring! I would buy the La Coco Silver Pearl Strand love it! I love the baby flower bangle. I love the Chloe necklace!! I like the Jet Faceted Necklace! I'd get that! I would get some stackable braclets. I love them they are so pretty. I like Babblings of a Mommy on Facebook and follow via GFC. Hi, if I won I'd buy the Tiny Flower Necklace. I "Like" Stella & Dot with Laura Stenovec, Independent Stylist on Facebook (FB name: Maddie Brubaker). I follow Babblings of a Mommy on GFC. the Belle Fleur Ring -- Gold and the Starfish Earrings- Silver. I would LIKE to get the STACKABLE RINGS. I would get the Jenna Pearl & Ribbon Necklace! I really like the Rachel Necklace and Chloe. I would get an initial charm for my bracelet with my son's initial on it.